Kirkendoll Management, LLC (KM) has contracted to acquire The Penthouse Club – Philadelphia with a signed asset purchase agreement, subject only to regulatory approval. Following this acquisition, KM’s portfolio will include five wholly owned and operated gentleman’s clubs and six Penthouse Club licensees. Expanding Kirkendoll Management’s Nightclub Division has long been a goal of our company. Whether through a licensing deal or a more hands-on approach such as a management agreement or buyout, KM is looking to bring The Penthouse Club’s ultra-premium experience to major markets worldwide. Kirkendoll Management, LLC (KM) has contracted to acquire The Penthouse Club – Philadelphia with a signed asset purchase agreement, subject only to regulatory approval, last month. The company assumed operational control of the venue, under the direction of General Manager Edgar Gil, on Nov. 29. Previously a licensee, the luxury gentlemen’s club in Philadelphia will join the two other wholly owned and operated Penthouse Clubs, as well as two additional wholly owned and operated adult entertainment venues, in the privately owned, boutique, hospitality-investment firm’s portfolio. The purchase will mark the licensor’s first club buyout since acquiring the brand’s master license in April 2017 and will serve to expand the company’s nightclub-industry reach outside of Louisiana. 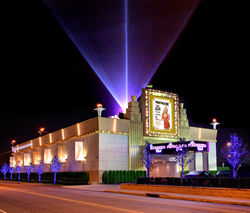 Following this acquisition, KM’s portfolio of wholly owned and operated gentleman’s clubs will include The Crazy Horse Cabaret – Port Allen, The Gold Club – Gonzales, The Penthouse Club – Baton Rouge, The Penthouse Club – New Orleans and The Penthouse Club – Philadelphia. Additionally, the company’s licensing department boasts Penthouse Clubs domestically in California, Florida and Michigan, and internationally in Australia, New Zealand and Russia. License negotiations are presently underway with several club operations nationally and internationally. Announcements on new Penthouse licensees are expected in Q1 2018. Stemming from the iconic publication founded by Bob Guccione in England in 1965 and brought to the United States in 1969, The Penthouse Club is “Where the Magazine Comes to Life!” A wholly owned affiliate of Kirkendoll Management, LLC, The Penthouse Club’s goal is to create world-class establishments by providing club owners and operators with innovative new tools and services to enhance their customers’ experience. The licensor adds value beyond the brand name by offering access to their best in practice operations processes, proprietary technology and outstanding marketing services. The Penthouse Club has locations domestically in California, Florida, Louisiana, Michigan and Pennsylvania, and internationally in Australia, New Zealand and Russia. For more information on The Penthouse Club, please visit http://PenthouseClub.com. Founded in 1987, Kirkendoll Management, LLC is a privately owned, boutique, hospitality-investment firm based in New Orleans, Louisiana. The company owns and operates restaurants and nightclubs domestically in Florida, Louisiana, Pennsylvania and Texas, and internationally in Costa Rica. Kirkendoll Management also owns the rights to The Penthouse Club master license. In addition to its wholly owned and operated businesses, the firm has licensee operations domestically in California, Florida and Michigan, and internationally in Australia, New Zealand and Russia. For more information on Kirkendoll Management, LLC, please visit http://KirkMGMT.com.